Summer is here, protect your ears! Summer is here and at The Hill Hear Better Clinic we not only love helping patients hear better but we also love helping patients, children, musicians, and swimmers protect their ears and hearing. One especially summery way to protect your ears is to wear custom swim plugs to prevent water from the swimming pool getting into your ears. These can also be used in conjunction with extended wear hearing aids but are most commonly used with children who are prone to outer ear infections, or swimmer’s ear. At The Hill Hear Better Clinic we take impressions and help each individual to select the proper style and fitting of custom ear plugs. We can also tell you if something like this is necessary for your specific situation. Let’s not forget about summer concerts! Although we love live music, sound levels at concerts can be at damaging levels with only a few minutes of exposure. This is especially true the closer you sit or stand to the stage. 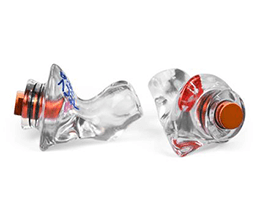 If you attend live concerts on a regular basis you should consider getting custom fit ear plugs to help you save your ears and enjoy the summer music at the same time. At The Hill Hear Better Clinic we gladly take impressions for and make recommendations on custom music plugs as well! If you’re a musician you may be touring and performing more this time of year. Have you considered custom in ear monitors (IEMs)? 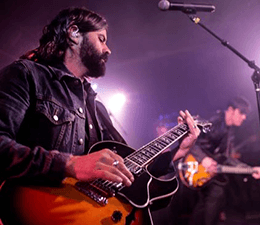 Custom in ear monitors allow an attenuation of ambient noise and a specific mix of your performance right at your ear. Customs IEMs can help reduce noise levels between 5-10 dB more than standard over-the-counter protection. Guess what?! 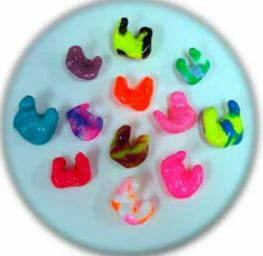 We ALSO take impressions for custom in-ear monitors. This process is even more thorough than a standard swim plug, musician’s plug, or even hearing aid can be. Each manufacturer has certain specifications about how the impression needs to be taken and our expert audiologists are trained for the job! If you or someone you know, need something custom made for your ears, The Hill Hear Better is the place to go! Whether your current patient, thinking about becoming a patient, a musician, a swimmer, or just a concert goer, we are here to help! Call us today for all your summEAR needs!